On June 21, 2018, the United States Supreme Court ruled in favor of the state in the highly anticipated South Dakota v. Wayfair case. Won by a narrow 5-4 majority, the South Dakota v. Wayfair judgment decrees that municipalities do, in fact, have the right to charge taxes on purchases made from out-of-state merchants, even if the seller doesn’t actually have a physical location in the taxing state. In the tax legislation world, the verdict of this particular case was monumental. South Dakota v. Wayfair overruled 26 years of precedence initially established in Quill Corp v. North Dakota, a benchmark ruling that maintained only sellers with an actual presence in the taxing state were required to charge taxes on qualifying transactions. Navigating Through The New Tax Normal: What Does The Wayfair Ruling Mean To You? Yes, the overturn of Quill means that at some point you may be required to tax goods and services on every participating district. However, knowing the specific states that don’t fall under the new legislation on any level can help you instantly eliminate sales that don’t qualify. The Wayfair judgment does offer some good news for remote retailers. The current South Dakota laws mandate a $100,000 or 200-transaction minimum before a business is deemed an economic nexus and required to report the sales. This could prove particularly beneficial for smaller business owners that would be exempt from the taxation laws until they reached that threshold in any given jurisdiction. It’s important to note that the U.S. Supreme Court didn’t mandate that all municipalities had to follow South Dakota’s economic nexus regulations; the ruling only acknowledges that South Dakota’s legislation is legal. The sales and transaction minimums can (and already do) vary from state to state. 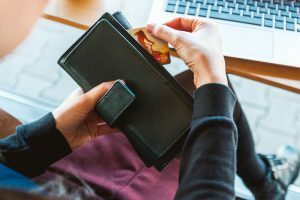 The best way to protect your online sales interests and ensure you can withstand the changing tax landscape is to prepare in advance. Begin gathering and tracking data on gross revenues and total purchases for all remote transactions. You should prioritize where your business has the largest revenue presence to determine if you need to register to collect and remit payments for sales tax. Most importantly, the best way to protect your corporate interests is to partner with a service company that specializes solely in sales tax issues and has extensive experience in the new Wayfair legislation. Still have questions about the new Wayfair law and how it impacts your business? Contact Leone, McDonnell, and Roberts, Professional Association today to connect with one of our onsite tax authorities.